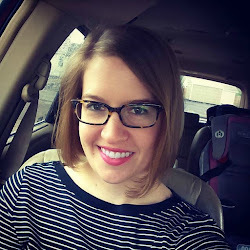 Miss Anna Pie: The Truth About Tax Season aka I'M FINE!! Hey blog friends. It's been a while. I sowwy. Tax season + church meetings + youth stuff + a whirlwind trip to San Antonio + sleep have kept me busy the last couple weeks, but I think things have calmed down for the time being and I'm planning to get lots of writing done this weekend, including the promised Budget Basics post. For now though, I'd like to address something that I believe is a common concern or misconception among my friends and general life people this time of year. It has come to my attention repeatedly that y'all all think I'm dying because of tax season. False. In an effort to set things straight, I have attempted to debunk some of the tax season myths I have heard from y'all and offer the truth. Myth: Asking me a quick tax question is going to make me hate you because I do taxes all day and don't want to talk about them any more than I have to. Truth: It's fine. I don't mind. I won't/can't prepare your return unless you are a) a family member or b) a money paying client of my firm, but I can try to help with your quick tax questions. Tax law is my second language and I'm a total nerd for it. Myth: I am unavailable for regular life activities from February 1 through April 15th. Truth: Not only do I still have time for most regular life activities, I prefer to have them. I still hang out with friends. I still go to Jazzercise. I still go to youth group activities. Myth: I come home from work and curl up on the floor in the fetal position with thoughts of tracking down some Valium. Truth: I don't really know what Valium does, so no, I'm not craving it, and generally I come home in normal spirits, though a bit brain dead. Myth: I am required to arrive at work at 6:30 am. Truth: I CHOOSE to arrive at work at 6:30 am. As long as we are there 8:00-5:00, my firm allows us to work our 15 overtime hours per week whenever they fit best. So I choose to be an early bird. No, this is not that bad. It just takes discipline, routine bed times, setting an alarm clock and generally being an adult who takes responsibility to make this work. Myth: I work late into the night and work all weekend too. Truth: I get off work at 6:00 pm and generally don't work weekends until the end of the season when things get crazy bonkers. Because I come in so early, I squeeze my 55 hours a week into the weekdays and leave weekends free. 6:00 is not a terrible time to get off work. Now, days surrounding the March 15th corporate deadline and of course the last couple weeks leading up to the April 15th deadline can end up a little bonkers with LOTS of hours worked, but that is short lived and very doable. Myth: I have to train and deal with annoying, clueless interns. Truth: I get to train and deal with capable, smart interns who are a benefit to our firm. I am more than happy to help with our internship program and teach these accounting students some real world skills in their chosen career. Myth: Tax season months are just a mundane chunk of work, work, work with no human interaction in the office and no fun whatsoever. Truth: My employer is great. So are my coworkers. We are fed dinners the last week of the season. Some mystery person has been leaving cutesy treats on everyone's desks to be discovered Monday mornings. Pranks are played. Happy hours are had. Packs of people walk over to Starbucks periodically. I've even been part of an 8:30 pm dance party in the office hallway. Myth: I work all these extra hours for no extra compensation. Truth: My firm pays time and a half for overtime hours until you make Manager. I bank during tax season. Not all firms pay overtime and I'm fully aware of that and majorly grateful that mine does. I may turn down some offers to hang out or do stuff, probably because I haven't really seen my husband in a few days. Our house gets a little out of control. I look forward to it being over. But overall, I'm not dying, I'm not depressed, I'm not unhappy. This is my 6th tax season so it ain't my first rodeo. I appreciate your concern and understanding, but I'm really just fine.